Joanna Maguire is executive vice president of Lockheed Martin Space Systems Company and also an officer of Lockheed Martin Corporation. In this role, she is responsible for the business operations and activities of approximately 18,000 company employees. Joanna, who was named to Fortune’s “50 Most Powerful Women,” list for 2007, earned her Bachelor’s degree in electrical engineering from Michigan State University and a master’s degree in engineering from the University of California at Los Angeles. A graduate of the executive program in management at UCLA’s Anderson School of Management, Joanna also completed the Harvard Program for Senior Executives in National and International Security. 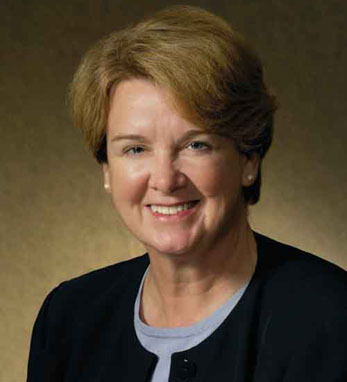 Joanna, who serves as a director on the boards of Space Foundation and INROADS, Inc., is also a member of American Institute of the Aeronautics and Astronautics and the Society of Women.She is a first-generation Irish-American whose father, Michael F. Maguire, was born in Ballyshannon, County Donegal.